Every year, we at Startup Extreme strive to be at the forefront of the needs and trends in our growing startup ecosystem. In 2018 we are at a crucial moment in the history of our ecosystem. We have promising and innovative startups in Norway. However, what got them so far, might not get them further. They need a different kind of support and expertise to allow them to add value and impact society with technologies, services and new jobs. That’s why in 2018 we want to draw your attention to scaleups. During 3 days in the beautiful Norwegian fjords we will discuss what it takes to go from startup to scaleup; creating more value for Norway and the rest of the world. At this invitation-only event, we will gather some of the most exciting Norwegian startups, Nordic and international investors, key community players and partners. The fjords, extreme outdoor activities and learning with great people will make this event truly magical. What is the difference between a startup and a scaleup? A startup is on a quest to find product-market fit, developing and iterating its product or service, experimenting with customer segmentation and working toward a positive contribution margin. A scaleup has already validated its product in a market, and has proven that the unit economics are sustainable. While startups invest money to learn and validate their product, scaleups invest money to accelerate growth. A scaleups main challenge is growth of an already identified business model whilst maintaining operational controls. It is a hell of a task, but the ROI is immense. There is nothing wrong being a startup but many startups do fail. Like maaany. And those who survive the valley of death either stay where they are or develop further at a very slow pace. Startups do contribute to economic growth and creation of new jobs, but scaleups contribute more. According to World Economic Forum and international studies, it is scaleups that are the real generators of jobs, taxes and wealth in the society. Nordics represent almost 10% of Global billion dollar Exits, and 33% of Europe’s billion dollar exits. Norway is now the fast growing ecosystem in the Nordics, after Sweden. Join us at Startup Extreme and discover hidden startup secrets of Norway! Click here for more information on Startup Extreme and check if you are on the guest list. 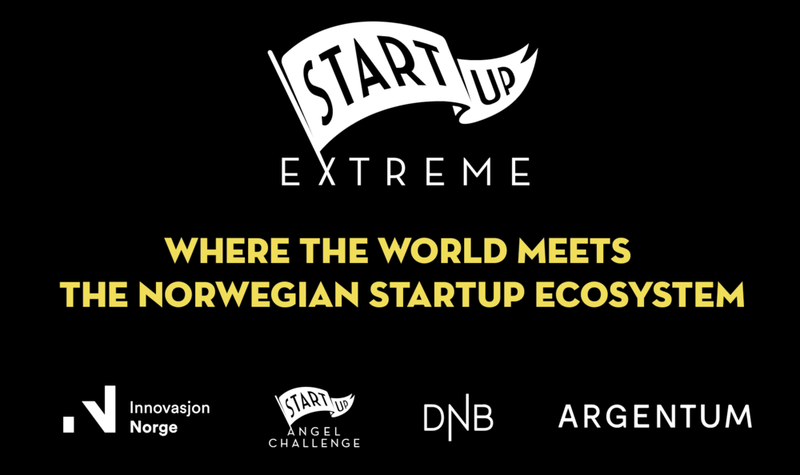 Startup Extreme is a “dugnad” from all of the Norwegian startup ecosystem. Started in 2015 with a goal to support and build a strong and healthy startup ecosystem. In 2015, we focused on the entrepreneurial potential of the Norwegian high tech sector. In 2016, we saw the contours of the Entrepreneurial Revolution that is now hitting Norway like a tsunami. High-quality startups and joint venture of the Nordic startup communities led to a record high amount of capital, and the topic in 2017 was — Investors are coming. In 2018, it is all about scaleups. Index Ventures to Startup Extreme!